Preheat the oven to 180°C (355°F). 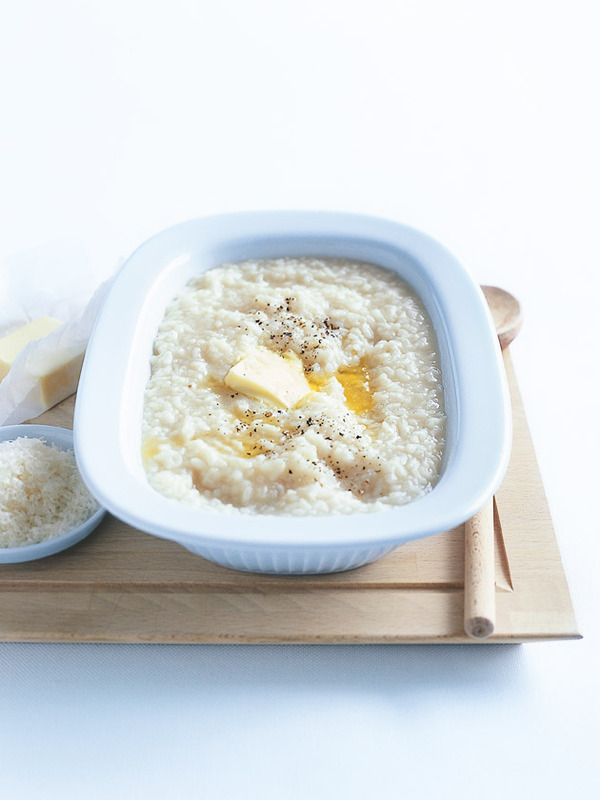 Place the rice and stock in a 22 x 30cm (8½ x 12 in) 10-cup (80 fl oz) capacity baking dish and stir to combine. Cover tightly with foil and bake for 40 minutes or until most of the stock is absorbed and the rice is al dente. Stir through the parmesan, butter, salt and pepper and serve immediately. Serves 4. Tried this on the weekend. Did have to cook longer. A terrific no fuss, one pot, tasty meal for a lazy day.